The Federal Reserve is no longer in any rush to raise US interest rates. The Federal Open Market Committee voted to maintain its target rate range at 2.25%-2.5% in its first official meeting of 2019. The vote was unanimous. There were drastic changes in the language of Committee compared with the previous release. First, the Fed removed language regarding future rate hikes being consistent with its goals, and instead simply said that it views an accomplishment of its goals as the most likely current outcome, without explicit reference to future hikes. Further, the Fed added the word “patient” with regards to future rate hikes. The FOMC’s statement also removed language related to the risk outlook remaining “roughly balanced,” and instead did not directly comment on this. All of these changes point to a significantly more dovish turn. We have already updated our underlying rate hike assumptions for our banking coverage to include no rate hikes in 2019, and only a single hike in mid-2020. CME futures data continues to point to no rate hikes in 2019. As such, we expect some marginal net interest margin expansion in 2019 as the series of rate hikes in 2018 will have a full-year effect in 2019. We expect material increases in NIM to cease thereafter. We are maintaining our current fair value estimates across our banking coverage. The Fed does not release new economic projections or a new dot plot at its January meeting. Further, many economic data releases have unfortunately been postponed because of the government shutdown. Even so, the Fed does offer brief economic commentary in its written release, which was almost entirely unchanged from its previous, largely positive commentary. It does seem that the current consensus is for a moderate slowdown in GDP growth in 2019, however with no recession. While rate hikes are arguably the key monetary policy tool for the FOMC, another important debate surrounding a second, less traditional tool for the Fed has also gained steam in recent months. This is the debate regarding the shrinking of the Fed’s balance sheet. The Fed is now at the point where it is rolling off the maximum amount of treasuries, agency debt, and mortgage-backed securities from its balance sheet, up to $50 billion per month. The Fed currently has just over $4 trillion in assets, down from the high of roughly $4.5 trillion, but still far above the just under $1 trillion in 2007. In addition to its normal policy statement, the Fed also issued a brief statement about its balance sheet runoff. The Fed essentially affirmed that it would be willing to adjust the runoff of its balance sheet in response to changing conditions, and also confirmed that the final, appropriate size of the balance sheet is likely larger than what it was in the past. The debate over the effects of the Fed’s balance sheet normalisation is a bit esoteric, seemingly the domain of abstruse academia. On one hand, it is very difficult to find definitive data on the tangible effects of the Fed’s balance sheet movements. For example, some papers trying to estimate the effect of the build-up in the Fed’s longer-duration assets estimated that the moves may have moved longer-term interest rates a matter of basis points to tens of basis points, nothing astoundingly substantial. With rates so low now, it would seem the runoff in longer-duration assets is hardly causing any massive spikes in longer-term rates. The runoff in shorter-duration assets should affect the total amount of reserves within the banking system, and this could affect liquidity and deposit pricing. In theory, liquidity effects are admittedly difficult to predict and model, and are often nonlinear. However, there does not seem to be strong evidence that the banking system is currently short on reserves or liquidity. These moves could indirectly affect deposit pricing as banks compete for increasingly scarce liquidity, but again, pricing has developed more or less as expected thus far. 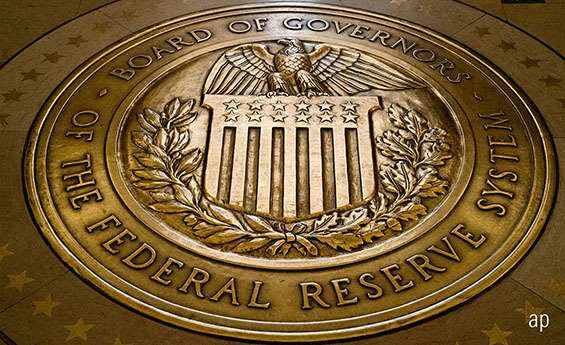 We also believe the Fed will likely normalise its balance sheet at a higher level than what was seen pre-crisis, which could give some more leniency regarding reserves in the system compared to the past. Either way, this remains a second key debate to watch, and at the very least represents another signalling mechanism for the markets the Fed must consider. How Many Times Will the Fed Raise Rates in 2019?